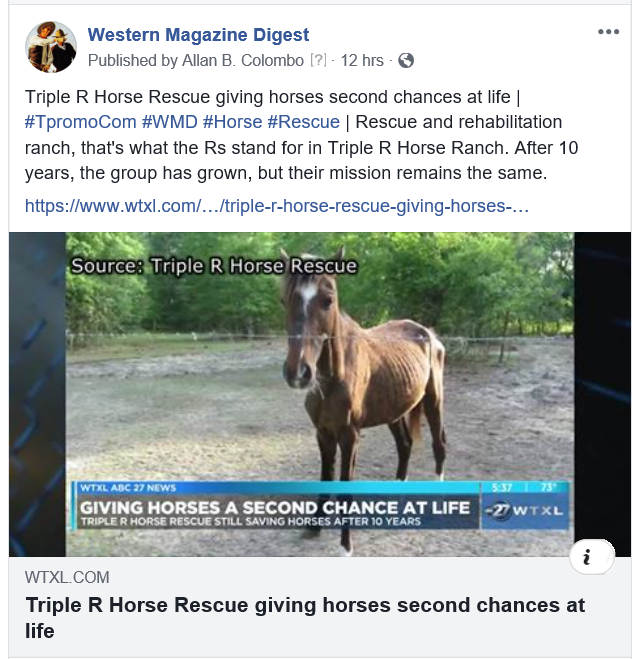 You already know the weekly publication side of Western Magazine Digest (WMD), but as Paul Harvey use to say, "here's the rest of the story." Besides publishing feature stories weekly, we also feature news and comment via our social media channels (Facebook and Twitter). If you're not tuning in to these two social media channels, then you're only getting part of our story. For example, yesterday we sent out several news items, two of which I thought should be of great interest to our WMD readers. The one in Argus Courier, entitled "Petaluma’s Past: Northern California’s ‘Indian War,'" discusses the one and only Indian war that occurred in the State of California. When we send our social media notices over our channels, we use a simple formula. We usually carry one or two sentences, we add three or four hashtags (to draw the attention of other social media networks), as well as a link. 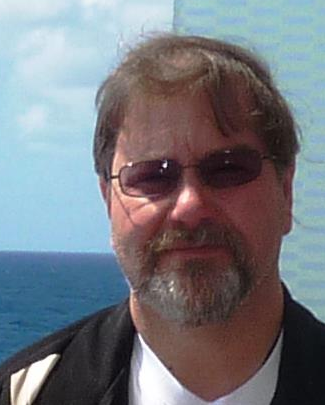 Photos are either natively provided by way of migration through the respective social media channel, or we add them where it seems appropriate. 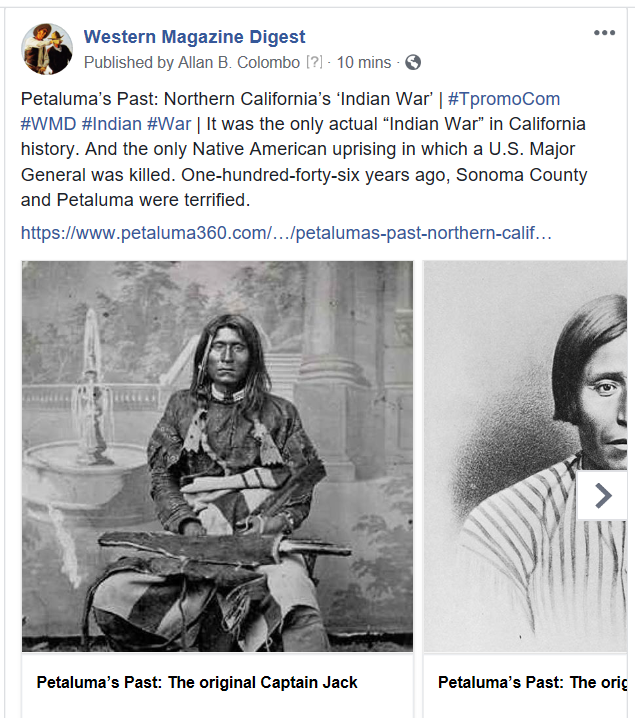 Petaluma’s Past: Northern California’s ‘Indian War’ | #TpromoCom #WMD #Indian #War | It was the only actual “Indian War” in California history. And the only Native American uprising in which a U.S. Major General was killed. One-hundred-forty-six years ago, Sonoma County and Petaluma were terrified. According to the author, Jennifer Meyers of WTXL, "Triple R Horse Rescue doesn't just bring in abused horses to make them healthy. They truly give these animals a second chance at life, just like Choco, who has been here for two and a half years." Currently there are two authors at work on the WMD, Gary Miller and myself. I believe I speak for both Gary and myself when I tell you that the inspiration for our stories comes from a variety of places, but the foremost spot is that of the heart. Both Gary and myself have extensive histories in being a childhood cowboy or an Indian (you have to take turns you know). The countless hours that we, as young boys, played "cowboys and Indians" helps fuel the fire of interest in all things of the Old West. Gary also has the benefit of caring for and riding horses on a regular basis a time or two during his lifetime. I have relatives in Martinsville, Indiana who have a horse ranch where I also got my feet wet riding a horse or two. And then there are the hundreds of hours spent watching westerns on television and in the movie houses of our youth. Now that we're older, we draw from those wonderful memories every time we sit down to write a feature story. Another source of inspiration for myself is that of old western magazines, like the Old West magazine shown on the right. This is the Winter 1982 issue of Old West. From it the trail has led me to two or three feature stories. For example, on page 12 is a story entitled, "Old West Gunfighters: The Men Who Fired in Anger" (see the table of contents below center). 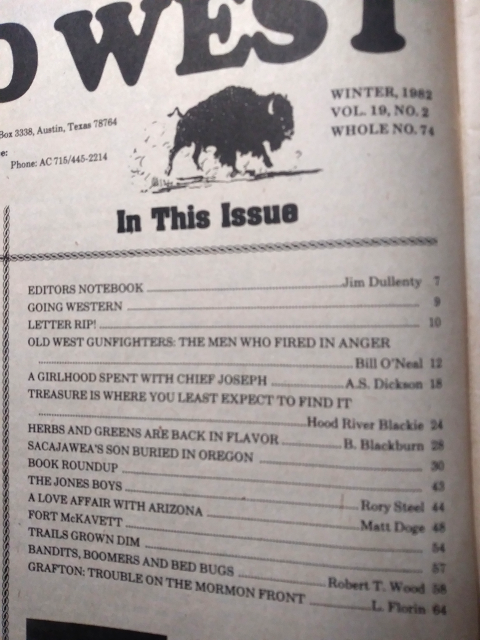 This story led to the writing of "Gunfighters of Renown," which we featured in WMD on November 23rd of last year. A more recent story, entitled "The Historical Photography of Dr. Edward H. Latham," was inspired by another story in the same publication entitled, "A Girlhood Spend With Chief Joseph," on page 18. Through this article I began to research the photographer of that era who's work was featured in that story, Dr. Edward H. Latham. I scanned the pages of this old magazine and featured the photos so you could view it as well. What a treasure. 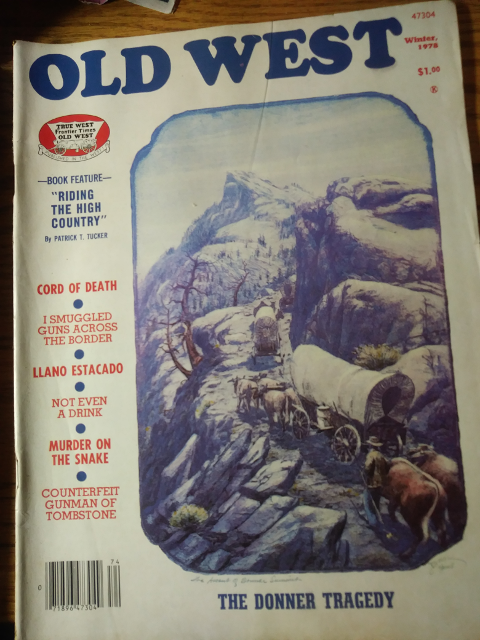 Last December we featured four stories that culminated from a WMD article entitled "The Story of Bloody Bill Anderson," taken from an action story in Old West magazine, Winter 1978 edition, entitled "Cord of Death." Note that there are links at the bottom of part 1, 2, and 3, as well as a fourth story that culminated from this Old West article. 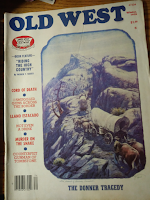 The thing about these old magazines (I have a huge collection of these collectible treasures), most every story involves real historical data either researched or told to someone who lived it. If you're interested in acquiring one or two of them, contact me at 614-585-2091 or email me. You also can review the few I've managed to add to our eCommerce store. Be sure to leave a comment or question below. If you do not see the comment box, click on the "no comments:" and you will be on the actual article page. Scroll down and you will find the comment box. Thank you for reading WMD! I wish we could dig deeper and provide even more information by way of additional stories on these subjects, but that would not be practical for us at this stage in our publication. In fact, we're looking for additional writers, so if you're a writer, or if you would like to try your hand at writing, I'd be happy to work with you (email me, or call 614-585-2091). If you do not get a response in 48 hours, please try again. Please post a comment below! Click on the "Hot Box" button for movies, comments, and more. Click here 4 the Music Box. Invite your friends to LIKE the Western Magazine Digest on Facebook: http://bit.ly/2D3lQ0j. | Also, connect with us on Twitter: http://bit.ly/2FjRt87. Welcome to WMD's Music Box! 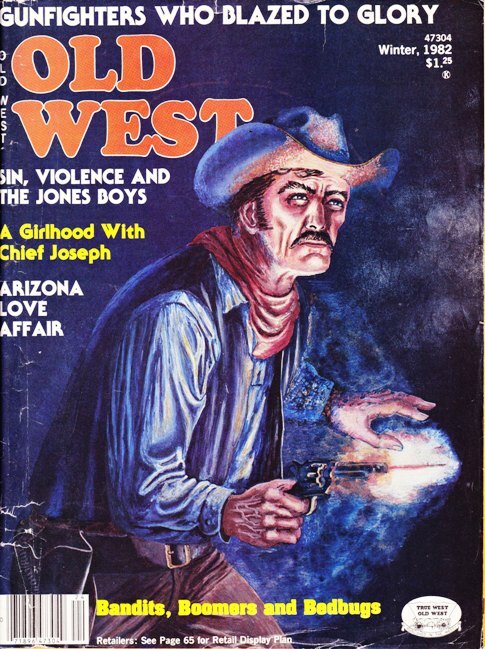 Got a hankering to write a story on a topic related to the old west? We do it every week here on WMD. We're looking for you! 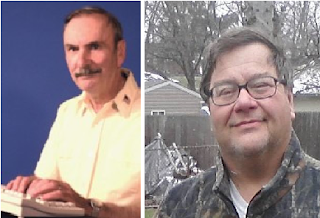 Contact Al Colombo: email me, or call 614-585-2091. Full Western Movie, Full Length Cowboy Film, English: Arizona, 1875. Travis Lebeck lays unconscious in the desert. A family rescues him and then he decides to continue his way. Everything changes when an unexpected outlaw gang arrives forcing Travis to vary his plans. A rancher comes home and finds that his son has been murdered and his daughter kidnapped by a bandit gang. He hires a professional tracker with a reputation for finding his quarry to help him find the gang and rescue his daughter. A cowboy has to get 12,000 dollars in stolen bonds from the ex-girlfriend of his partner, or the gang holding him hostage will kill him. Criminals have taken over Virginia City and are forcing citizens to pay for protection lest they suffer an "accident". A store owner who didn't pay is murdered by gang member and the sole witness, the victim's wife Beth, is offered protection at the Ponderosa. For his trouble, Ben is kidnapped by the gang leader. Comment #1: Thanks for the episode. Great episode he didn't have to brag about being good with a gun. He doesn't look for trouble. He defends himself with his gun. He kills when he has to.? Comment #2: This was a good episode of "The Restless Gun" with the fine actor John Payne. This episode had the original opening and closing credits with good visual and audio clarity to enhance the pleasure of viewing and listening.? Want to know what's happening on the Western Magazine Digest (WMD)? Weekly we send out news of our articles, music videos, and movies. You can also subscribe through the righthand column and receive notifications anytime anything new comes along on WMD. The other choice is to monitor one of our social media channels, also listed in the righthand column of the website. Notice: We are an affiliate for a number of companies. 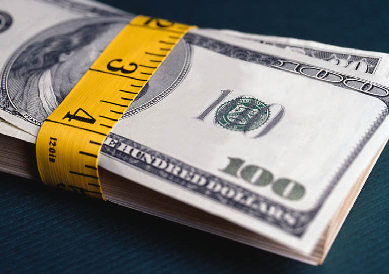 We earn a small stipend from the ads that appear on this WebLog in order to pay expenses. Privacy Notice: We do retain email addresses when our readers subscribe to WMD. This is the extent of our information gathering. Want a website or blog like this?